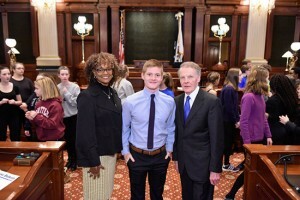 Cole White, Pawnee High School senior, recited poetry for House of Representatives at the Illinois State Capitol on November 14, 2018. 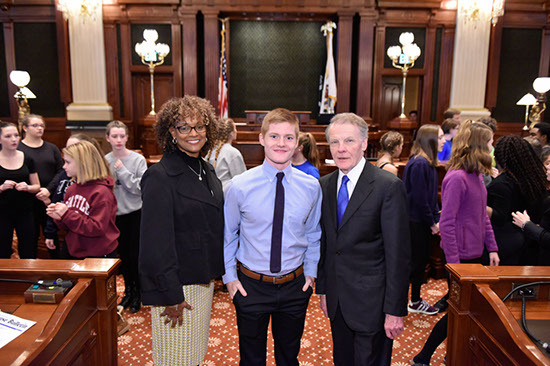 He was invited to represent Poetry Out Loud at the invitation of Representative Camille Lilly. 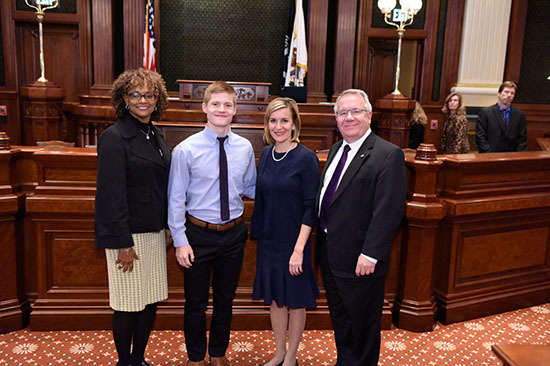 He recited “Chicago” by Carl Sandburg and “Ozymandias” by Percy Bysshe Shelley. White was the runner-up in February’s Central Illinois Regional Contest.